Antonio Moretti is a man of values and he lets those values transpire through the hard labor of winemaking, resulting in powerful aromas and intense flavors throughout his entire wine collection. His motto: “Dedicated to producing small-lot, well-balanced, food-friendly wines in a European tradition”. 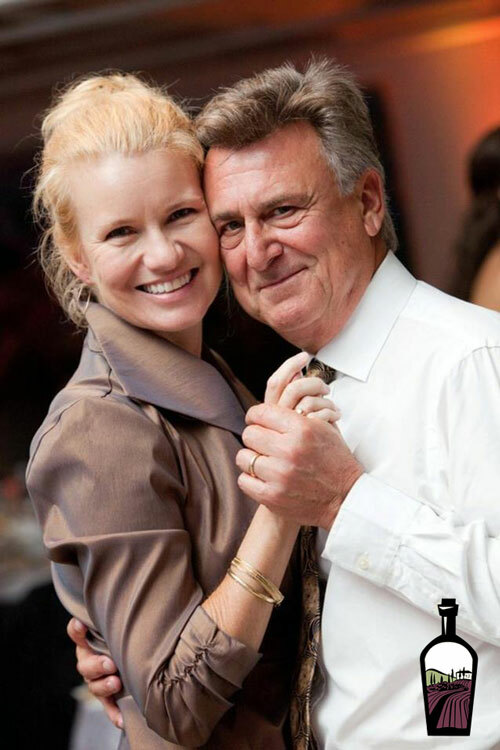 Collectively, Antonio and his wife Jeni have been in the wine industry for about 35 years. They both fell in love with the Santa Rita Hills region (Santa Barbara County) for its beautiful rolling hills, its agricultural richness, a unique micro-climate and of course, the world renowned appellation’s growth: Sta. Rita Hills AVA. After spending time getting to know the wineries and the vineyards of the Sta. Rita Hills, Antonio and Jeni have picked the varietals that best represents the region. “We have hand-selected the best of the Sta Rita Hills for you.” says Antonio. With the help of one of the most talented and famous winemakers of the Santa Rita Hills, they produce an excellent Syrah, a Pinot Noir, and a Bianchetto among others. They all truly reflect the terroir of this special region. Located in a “campus” of industrial buildings called The Wine Ghetto (Lompoc, CA. ), you will discover Moretti’s tasting room. The humble decor of the tasting room is no reference to the wine and overall experience I had at Moretti Wines. As soon as you enter the room, you are welcomed by Antonio himself. After a quick introduction, he tells you a story about each wine you’re about to taste. No crackers or salted treats here, no siree! It’s fresh baked bread and charcuterie cut right in front of you on a wood cutting board – “à la bonne franquette” as we say in France. It’s about preparing simple food without fuss and sharing it with friends, because you are a friend the second you step foot in Antonio’s tasting room. As if the above wasn’t enough to entice you, I will wrap up this article with Ubriaco cheese, which I had the pleasure to taste during my visit at Moretti Wines. 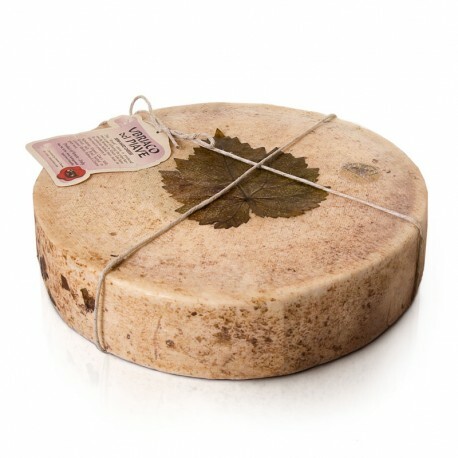 Ubriaco cheese – aka the “drunken cheese” – is from Treviso, in the Veneto region of northern Italy. Made from unpasteurized cow’s milk and covered with crushed grape skin, it is soaked in local wine (mostly Prosecco) – a process known as “ubriacatura”. After which it is left to mature for a maximum of 12 months. Upon maturity, it will develop a soft and supple texture, which ages to become firm and crumbly, similar to a Parmesan. Antonio Moretti makes a fantastic Merlot (mentioned above) that is a perfect match for the nutty and fruity flavors of this Italian cheese. You can typically find Ubriaco cheese at the Mel & Rose specialty food store in Los Angeles, though they run out of it very quickly. 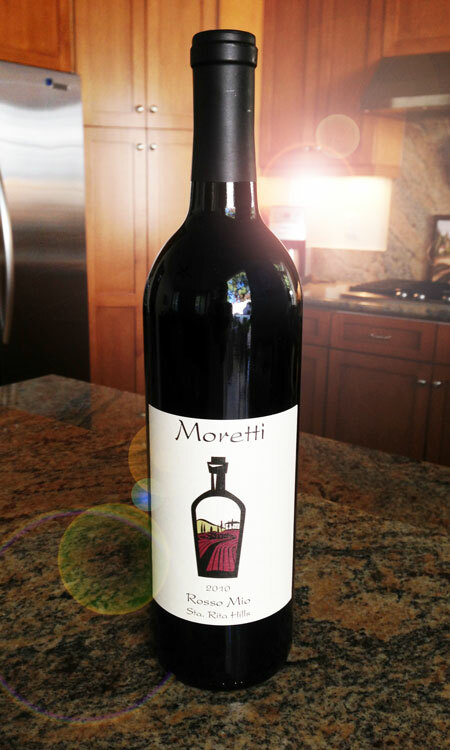 Consider paying Antonio Moretti a visit and if you ask nicely, he might sell you some of his private reserve. Wow! You did an amazing job capturing the Moretti philosophy and spirit. The article and video are wonderful. We will share it to our mailing list and on our facebook page. We can’t thank you enough.